Includes a mixture of fun catchy rock, jazz and classical styles with some slow melodies thrown in ! 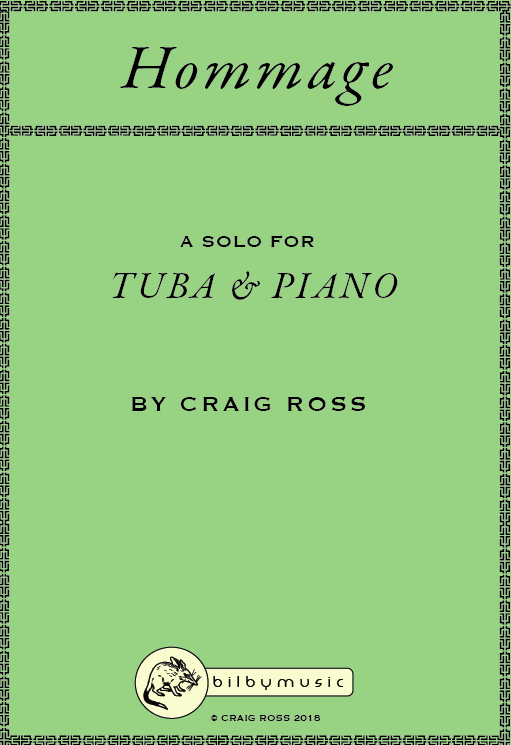 This Tuba version of the popular piece Hommage which appears in the AMEB Syllabus is a great HSC option. 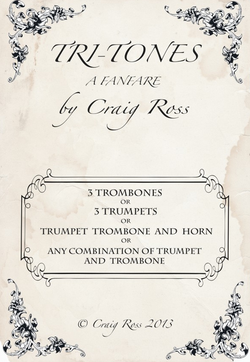 This fanfare for 3 brass voices is designed for the HSC final recital in mind. 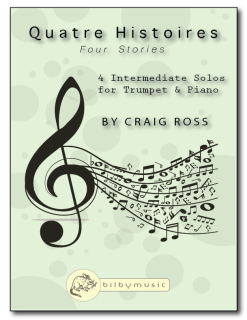 Just 3 trumpets or 3 trombones needed, as well as an option for trumpet, horn and trombone. 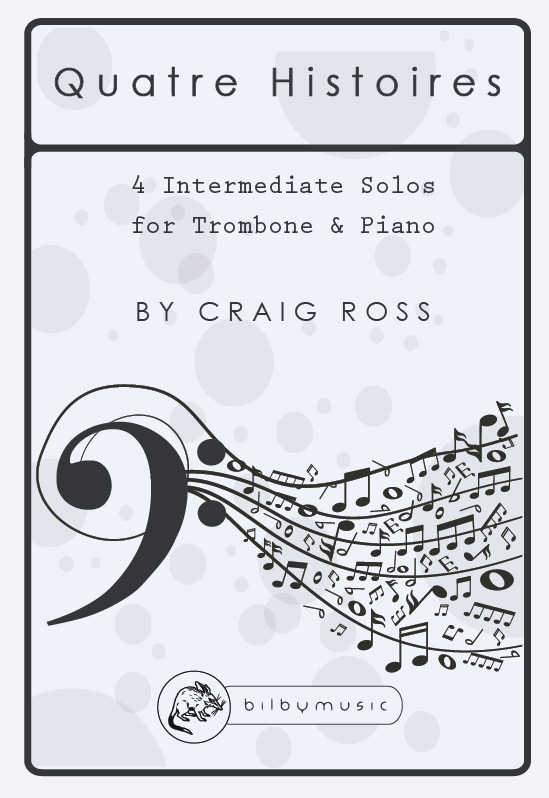 It can be put together fairly quickly, and has plenty of moments for the student to conduct pauses and tempo changes. 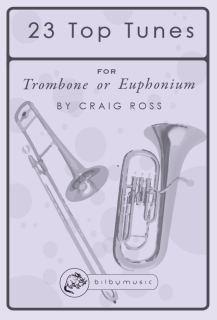 Download Trumpet & Tuba Ed. 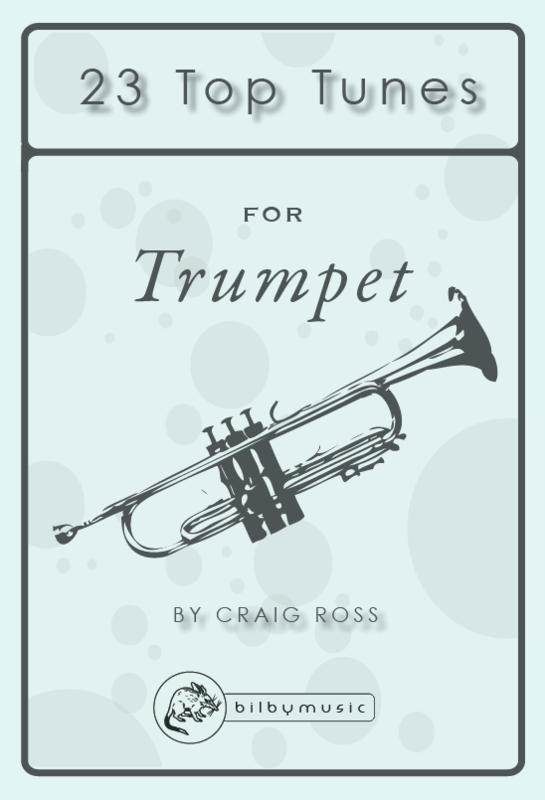 Download Trumpet & Trombone Ed. For some brass musicians the warm up is like a daily meditation that is cherished as a time to sit and avoid distractions and concentrate on preparing for the stage...unfortunately this time it quickly deteriorates into a "Warmup Room Battle" ...and yet, there may still be room left to reconcile, and make some beautiful music together. "Do You Mind ?" 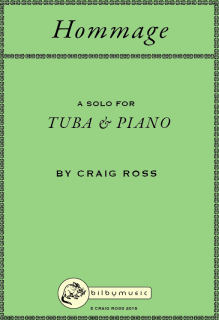 is a theatrical comedy duet that was originally written for Ed Diefes's US Solo tuba tour, and has since been adapted for trombone and trumpet too. 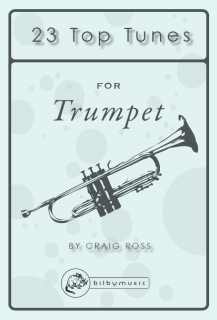 This printable eBook provides all the technical work you will need for Grade 1 and 2 Trumpet and more! This downloadable, printable eBook provides all the Sight Reading examples you will need for Grade 1 and 2 Trumpet and more! 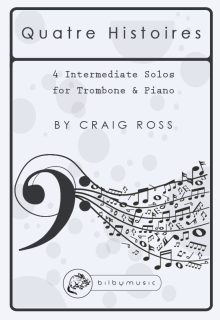 46 sight reading examples written specifically for each grade with varying degrees of difficulty...including "First steps" and "Challengers".